Miss India USA 2019 opening ceremony held at Albert’s Palace in the Fords City of New Jersey has left the everyone surprised for its performance line-up. None other than Miss India USA 2018 Shree Saini took the audience by surprise as she performed a graceful dance on the Bollywood track Saiyan Tu Kamal Ka Batein Bhi Kamal Ki from the film ‘Prem Ratan Dhan Payo’ Starring Salman Khan and Sonam Kapoor. Shree Saini crowned Kim Kumari, 18, of New Jersey as Miss India USA 2019 at an impressive function held at Royal Albert’s. Renuka Joseph of New York and Aanchal Shah of Florida were respectively declared the first and second runner ups. 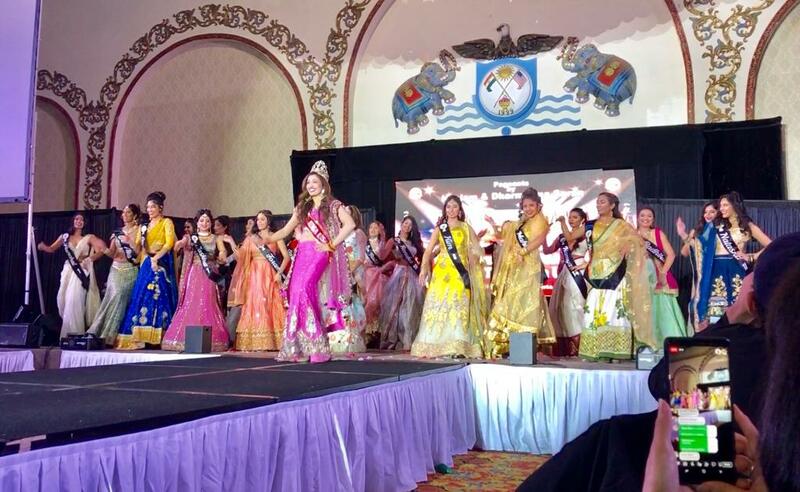 Organised by the India Festival Committee and chaired by prominent Indian-Americans Neelam and Dharmatma Saran, the annual Miss India USA is the longest running Indian pageant outside of India. This year a record number of 75 contestants from 26 states participated in the pageant. Bollywood actor Meenakshi Seshadri, who served as chief judge of the pageant, was also felicitated with Lifetime Achievement Award.